As CH got to the peak he remarked that it was a dream come true. 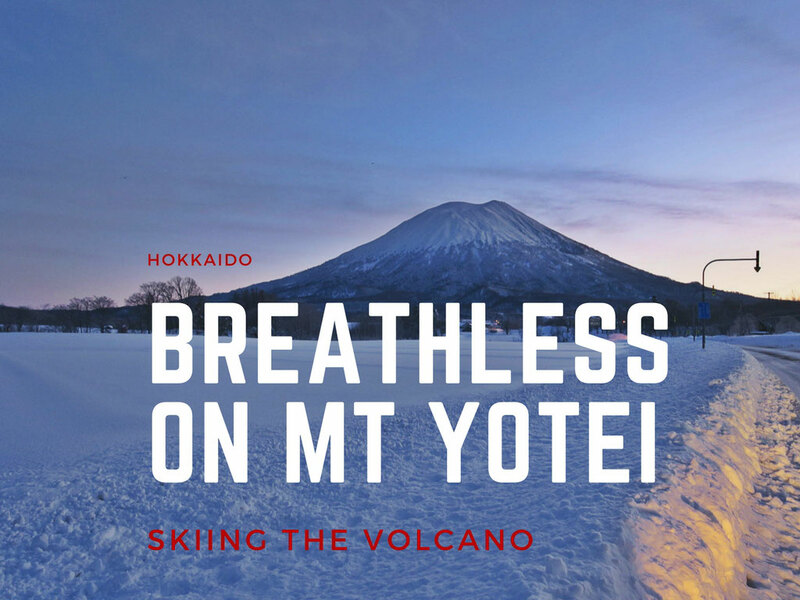 He had been to Niseko on a number of occasions and had never had the opportunity. The same can be said for Terry and Sue, which was their third attempt on the summit, each of the previous times thwarted by the weather. Niseko is known for the powder and it is the regular storms from the Sea of Japan that continually reset the snow through the season. There are some visitors that don't even realise that it is there, as it is often hidden by the clouds. 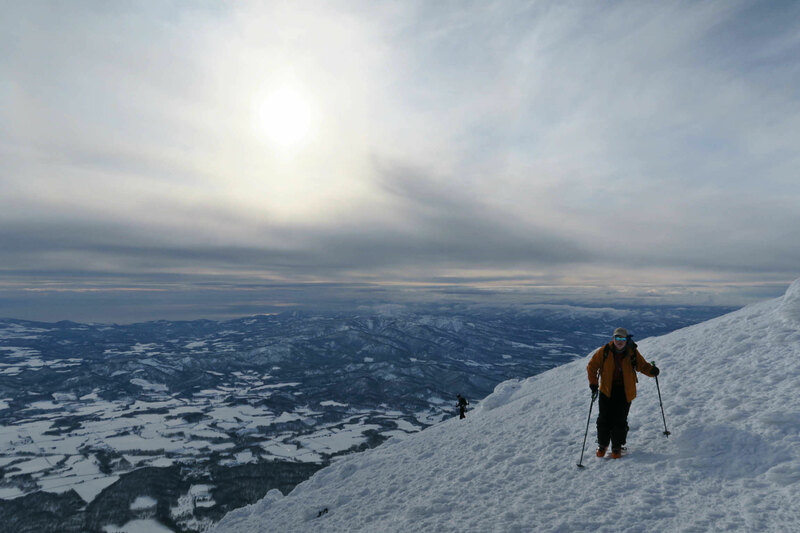 And so, skiing from the rim can be an elusive endeavour. 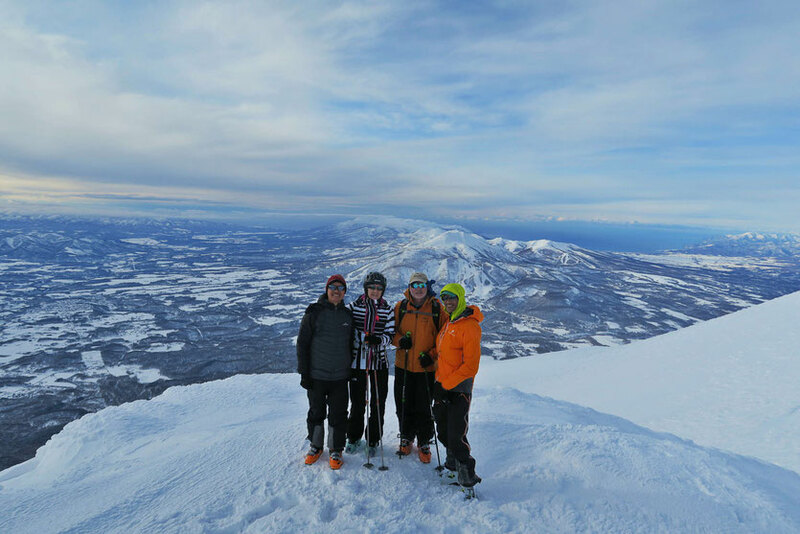 The forecast for the last day of 2017 was calling for a clear day after days and days of snowfall through December. 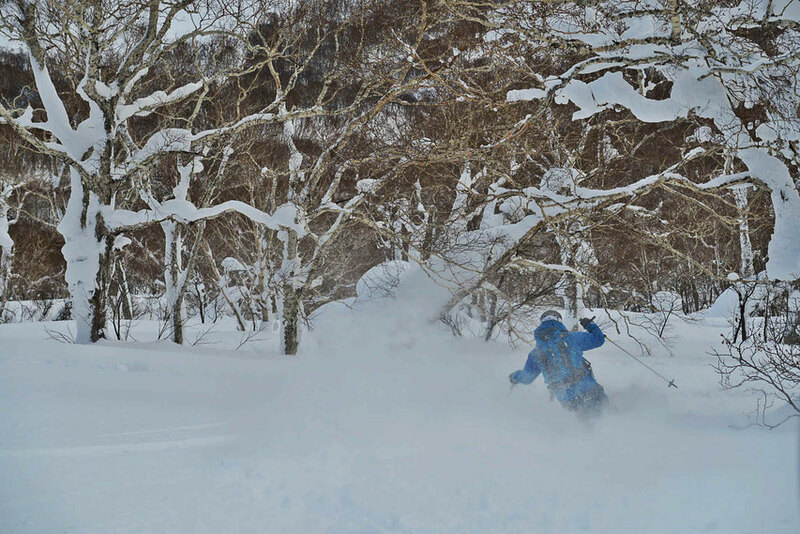 Niseko had been pounded literally. It had snowed more in December than the whole of the previous season and the locals had that jaded look in their eyes from the snow clearing that you usually don't see until the end of February. This was Terry and Sue's eleventh straight season of skiing Niseko and they knew just how lucky we were with the weather. Today was the day. At one stage there was the threat of valley clouds ascending up the mountain turning a blue bird day in to pea soup. Our previous climb a week or so earlier had been clear until the last 100 meters where we were enveloped in a similar cloud from the valley, but it never eventuated. We were in the volcano's favour. 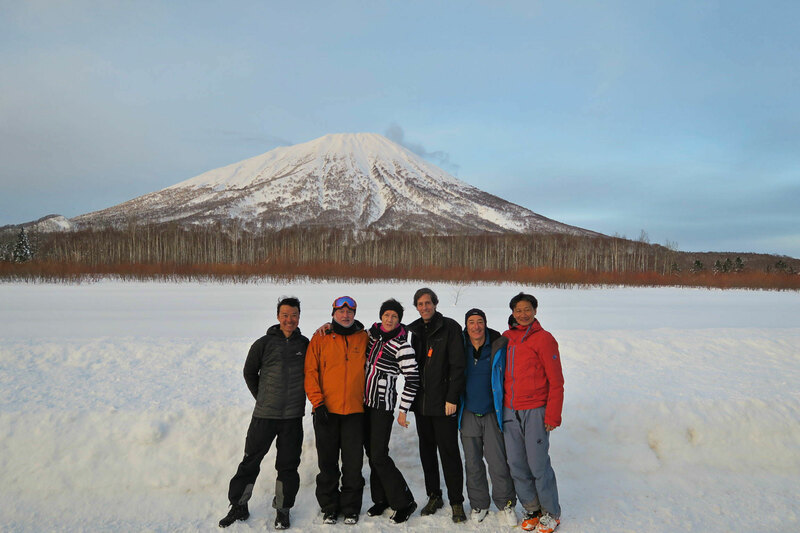 We had joked on the drive to the trail head that Kenji, the assistant guide would be taking the 'skiers', meaning those who would want to descend before the crater's rim. Chuck would take the 'climbers,' or those less concerned about the skiing and more focused on the top. 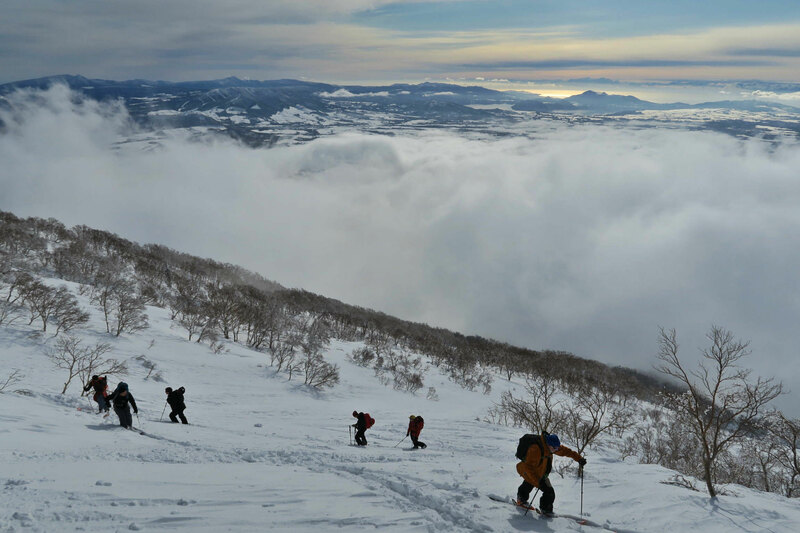 As is often the case, the higher you go on the mountain, the quality of the snow diminishes as it is more exposed. Skiers sometimes will want to turn around at the point where the snow is no good for skiing. Today though, we were all climbers. We had started at 7:30am, and by 2pm we finally topped out on the summit, right on our intended cut off time. It was a six and a half hour ascent in what Terry described at 'Type 2' fun, or painful fun that you would remember. There wasn't a breath of wind at the summit. 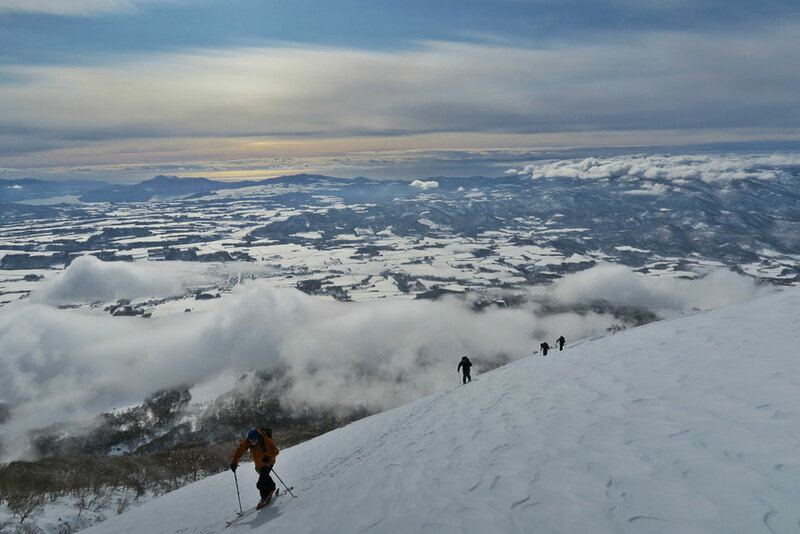 To the west were stunning views of the Sea of Japan and Niseko resort. The snow conditions were wind packed at the top before giving way to reasonably easy skiing further down, although a thin rime crust on the surface was interesting. 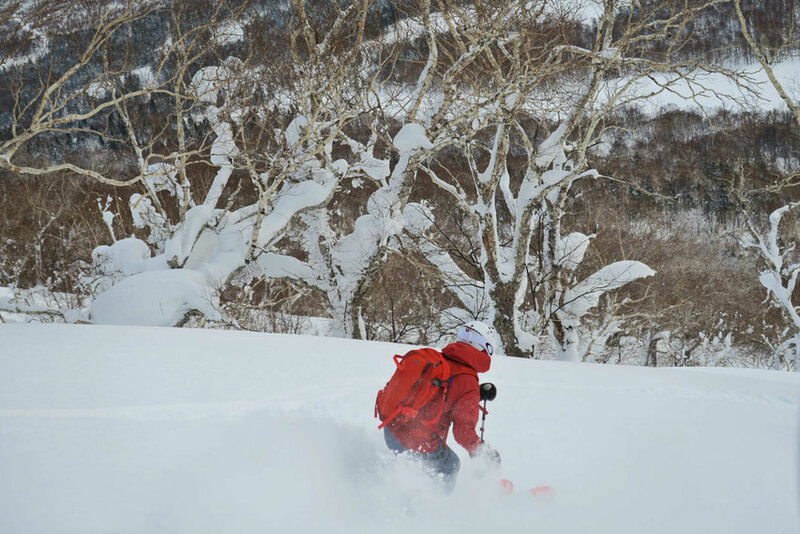 For a moment we would forget about the snow and ride the high of the whole experience. That is what climbing and skiing is all about.